The best juice is made with high-quality Robot Coupe juicers. Not every trade environment has these professional juice extractors, of course necessary, but if you really want to go to work comfortably and if you quality juices made your profession, then these centrifuges of this French brand definitely recommended! 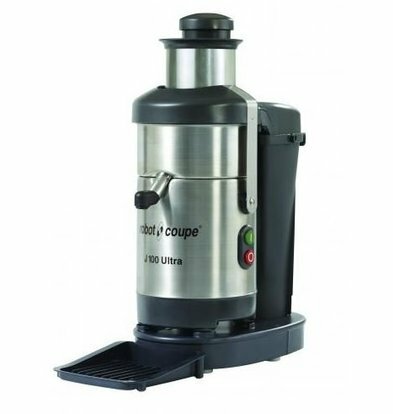 Robot Coupe juice extractors are standard equipped with extremely powerful motors, have a very smooth running input (push to a minimum), and they additionally rotate with extremely low noise. Robust, maybe that is the term we have to use the juice extractors Robot Coupe. You can leave these juicers also fine on the bar because the low noise level does not cause irritating noise. 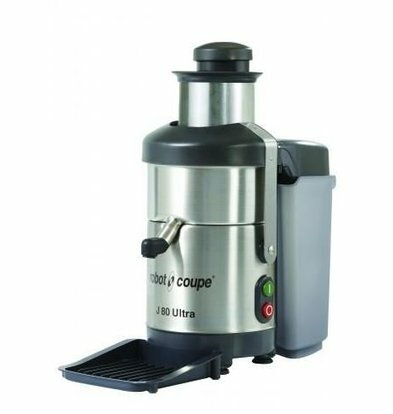 The Robot Coupe juicer J100 Ultra handles up to 160 liters of juice per hour and is ideal for the professional hospitality environment. This high-quality juicer Robot Coupe also features an easy to clean pulp collector. The maximum 1 year and discounts as high as 20%, you get online through XXLhoreca the most affordable and the most modern centrifugeertechniek home.